Churches often seek to resale various pieces of furniture when renovating. Some turn to auction sites while other utilize church suppliers and furniture companies that offer a used furniture section on their websites. This is a great way to purchase quality used furniture pieces, such as pews, chairs, and other items for personal decorative use at home or for your church. Cheap Used Pews offer various used pews. Some can be purchased in lots and others are sold individually. The company also offers a refurbishing service and fabric upholstering if desired. 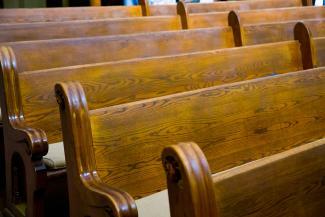 That service is around $500 - $600 per used pew, with a comparison rate for new pews of $900 - $1,100. In addition, the company can remove pews from churches under renovations for a fee. The company also purchases used pews. If you cannot find what you want, the company will find it. If a pew is too large, the company can also cut it to fit. If you are in Salemburg, North Carolina, you can visit their warehouse for picking up items or have them delivered. Otherwise, you'll need to get a quote for freight to ship the piece(s) desired. TH Stemper Co., one of America's leading church and religious suppliers, also hosts a consignment section on their website through their Stemper Religious Products and Church Supplies Consignment Center. The church furniture category features some very interesting pieces, such as antiques as well as more recent furniture pieces. There is often a variety of furniture on consignment; items vary from antique presiders chairs, confessionals, pews, or simple side chairs when they are on hand. The price range varies as the furniture is sold and more pieces added. Orders are processed Monday through Friday from 9 am to 5 pm (central time). Insurance cost is included in all shipping quotes. Your order is shipped within a week. Any non-custom merchandise can be returned. You need to call for authorization. The company offers a replace, exchange or refund (minus shipping and handling) policy. You must return within 30 days. Some items require a restocking fee. The Milwaukee, Wisconsin, location is open Monday through Friday from 9 a.m. to 5 p.m. and Saturday mornings from 9 a.m. until either 1 p.m. or 3 p.m., depending on the season. 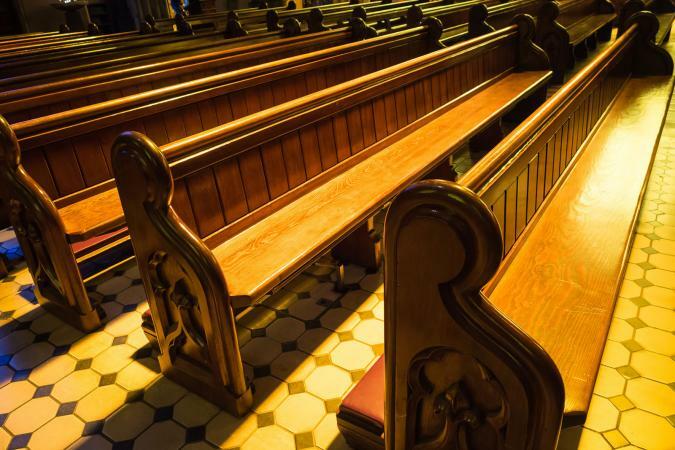 Whether you're a seller or buyer looking for an antique piece of church furniture, you may want to browse some of the website offers of Used Church Items. This Catholic company features many of the antique church items they have in their warehouse. You may prefer to schedule an appointment to visit their facility for a wider choice of furniture pieces. Some of the antiques featured on the website include pulpits, lecterns, baptismal fonts, altars and statue pedestals. Pricing and shipping charges can be inquired via email or phone. See the inventory in person if you're in the McDonald, Pennsylvania, area. However, you'll need to make an appointment. The name of the seller is displayed. Cost, number and size(s) of pews available are included. Used Church Furniture Ministry features a section on the website titled Born Again Pews where you will find listings of furniture from dealers across America. Some offer the opportunity to purchase individual pews or in various lots. Individual prices range from $100 and up. An interactive map is provided for available listings. Listings for free church furniture are specifically for churches in need. An online chat option is available. Used pews and other used church décor and furniture are bought and sold by the Churchtown Books & Gift Shoppe. You'll need to contact them for information regarding shipping/delivery possibilities, because the states where the pews and other items are located vary by seller. You can find this in the lower right of the photographs. Each listing features one or more photos. Place an order either by phone or email. Check back regularly since items are added on a daily basis. Furniture dimensions are given and some feature diagrams with dimensions. Prices are posted for each listing. Stop in to the store Tuesday to Saturday from 10 am to 6 pm. They can be open for requested additional hours on Tuesday and Thursday evening. However, they are closed on Sunday and Monday. Check before visiting to see what used inventory is at their physical location. You can often luck up on a great deal when you participate in an auction. Check with local auction houses, online options like GovDeals, eBay, and Etsy. Most towns/cities have at least one auction house. Use helpful websites like Locate Auctions, AuctionZip or GlobalAuction to find local and other convenience auctions. All items are sold "as is, where is". Process for refunds when there is a claim of misdescription is outlined. Unless a seller indicates otherwise, buyers are responsible for arranging pickup of the won item. Contact seller prior to bidding about shipping. Buyers must make an appointment for pickup with the seller and should be at least 24 hours advance notice. Your winning items must be picked up within 10 days of receiving the Buyer's Certificate and is subject to incurring a daily storage fee of $10 after 10 days. Reach them by email at CustomerService@govdeals.com or use their question form online.They can also be reached by phone at 800-613-0156 or fax at 334-387-0519.
eBay, perhaps the best known auction site, is a good place to look for used pews, chairs, and other church items. As with any purchase, you want to be clear about the shipping costs or if a local buy when you can pickup your winning item. Conduct a loosely formed word search, such as church pew or church chair. If the return is too broad, you can always pare down the search results by adding other words, such as antique church pew or refurnished church pew. This well-known website began with only handmade items offered for sale. Many of the church furniture you'll find here have been reworked, often customized for size or look. Conduct a word search for the type of furniture you want, such as church pew furniture. The results may be mixed with a range from as-is items to hand-decorated novelties. If you want the opportunity to personal inspect before committing to a purchase, be sure to check out local classifieds on newspaper websites, local community website classified sections and local freecycle listings. purchase through classified ads gives buyers the opportunity to inspect local offerings before purchasing them. Online classified advertising sites, like Craigslist is a handy resource since you can narrow your search to specific neighborhoods geographically convenient for inspecting and transporting your purchase. It helps to browse various websites before committing to a piece of furniture, especially used pieces. 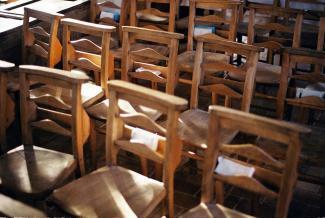 Make sure you understand the condition of the church furniture before purchasing. Carefully review the terms of the contract to see if there are hidden shipping, handling or processing fees. Be sure to inquire about the history of the furniture you purchase since it will definitely be a conversation piece.